As a design-build remodeling firm with five LEED APs on staff, we are firm believers in finding ways to incorporate energy conservation into our clients’ projects. So why focus on the reduction of energy use? It’s a complicated subject, but it can be boiled down to reducing a home’s energy costs and providing a more comfortable space. There are three keys areas of focus: 1) address the simple things first, 2) consider a product’s efficiency before its purchase, 3) have a thorough review of the more complex systems that are available. At Classic, these items are all addressed during the design and planning phase of your project. Let’s start with the simple things first. Turn off the lights when not in use. Advanced lighting systems can assist with this by being programmed to turn on and off at certain times. Sensors can also be installed to turn on and off when someone enters or leaves a room. Switch to more efficient bulbs. Efficient bulbs can range from compact fluorescent to more high-performance LED fixtures. Seal any gaps where unconditioned exterior air intrudes into the home or conditioned interior air escapes. This situation puts more demand on a home’s heating and air system, which results in more use of electricity. Ensure your home is properly insulated. While addressing how air tight the home is, it is also important to consider insulation. Review the existing insulation to see if there is enough and if any is missing. You may also consider the installation of sprayed foam insulation in the attic – which can greatly reduces the temperature differential between the conditioned space below and the attic above. The application is very technical so it is important to make sure that a professional is hired to perform this work. 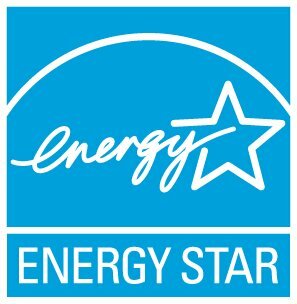 Before making major purchases for any remodeling project, it is important to consider the energy efficiency of the product. 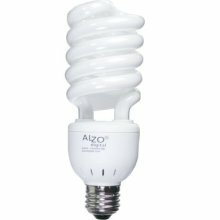 Carefully review the specifications of the products to assess how much they can save in electricity costs over the life in the product. Windows and Doors. Your design-build professional can assist you with understanding the window-door ratings for energy efficiency and solar heat gain. Appliances. 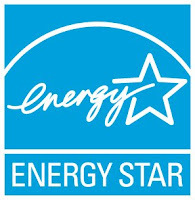 Always look for an Energy Star rating and review the electricity savings tab on the appliance. Most other products these days also have energy ratings in some form – so always review the packaging carefully. When considering the more advanced systems of a home it is important to consider how they impact a home’s energy efficiency. Water Heaters. If an old electric water heater needs replacing, consider installation of a tankless gas-fired water heater. 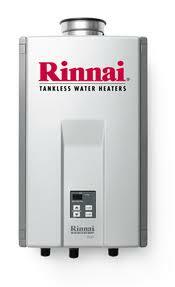 Unlike tr aditional tank heaters, tankless heaters do not store water at a constant temperature. Instead they heat on demand as needed. This greatly reduces electricity use since they are gas-fired. If you do opt for an electric tank heater, try to locate it with the building’s conditioned space in order to lessen the demands on the unit to counter the unconditioned air surrounding it. HVAC Systems. The heating and air conditioning system of a home is also one of the biggest consumers of electricity. Explore the many options, but it is best to select higher quality units with a high SEER (Seasonal Energy Efficiency Ratings) rating, essentially a measure of its efficiency. It is also critical that all ductwork is tightly sealed so that no conditioned air is wasted. There are more advanced system for building conditioning, such as geothermal systems which utilize the constant temperature in the earth, but generally these systems are cost prohibitive unless one incorporates them in a new home mortgage. Solar. To take it to another level, homeowners might also consider solar systems for their home. There are two types of solar systems to consider: solar thermal and solar photovoltaic (PV). Solar thermal can be used to help heat a home or its water supply. Solar PV is used to generate electricity for use in the home. While these systems can be expensive, it is important to consider how much electricity they can save homeowners – and potentially event create excess electricity. Precise figures and site data should be reviewed to make sure either is a feasible option. There are countless options to consider when planning your remodeling project, so we always try to find a balance between efficiency and budget. We incorporate many subtle things into our building practices that improve efficiency, so we try to make the client knowledgeable of those as well. Through a shared goal of reducing electricity use and providing a comfortable home, we feel that we can satisfy our clients while also making a long-term improvement for the environment.